Four decades of supersonic-combustion ramjet propulsion research culminated in a successful flight of the X-43A hypersonic technology demonstrator in March 2004, the first time a scramjet-powered aircraft had flown freely. 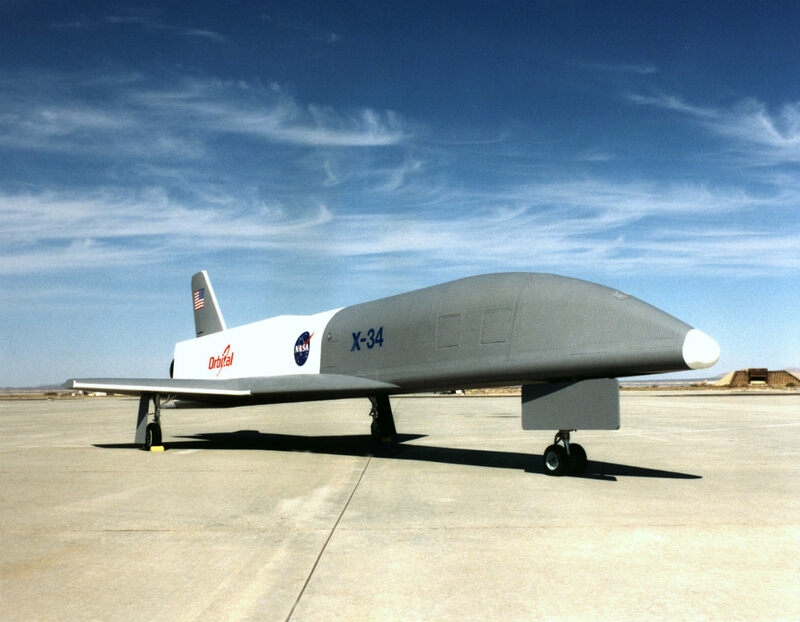 X-43A (Hyper-X). 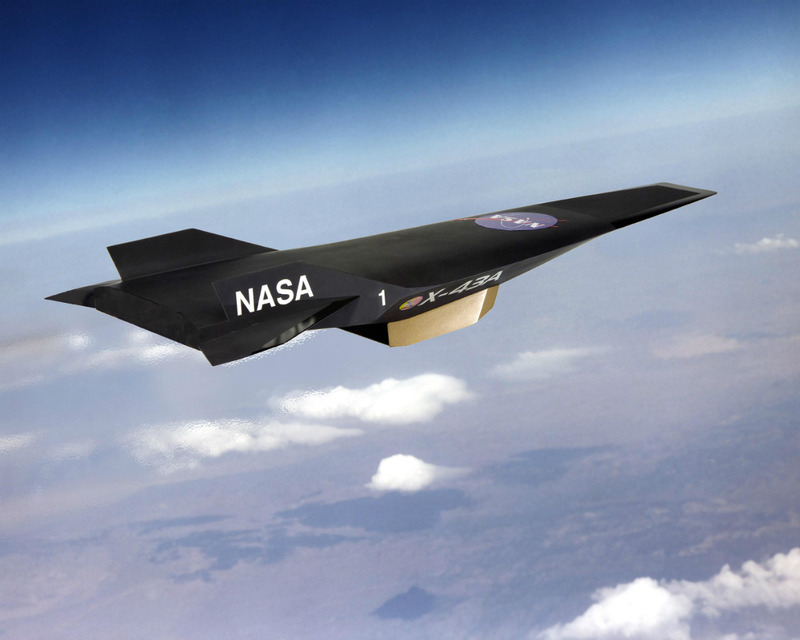 Four decades of supersonic-combustion ramjet propulsion research culminated in a successful flight of the X-43A hypersonic technology demonstrator in March 2004, the first time a scramjet-powered aircraft had flown freely. These NASA Experimental Aircraft Images were photographed by military veterans and service members. Two airframes were manufactured. They have flown a total of 15 flights between 1997-2001. This Advanced Technology Demonstrator for a Crew Return Vehicle from the International Space Station completed four captive flights beneath B-52 0008 during 1997, three in 1998, and then performed its first drop test on March 12, 1998. X-38 Crew Return Vehicle. Two airframes were manufactured. They have flown a total of 15 flights between 1997-2001. Boeing Phantom Works manufactured two airframes. They flew a total of 33 flights between 1997-1998. 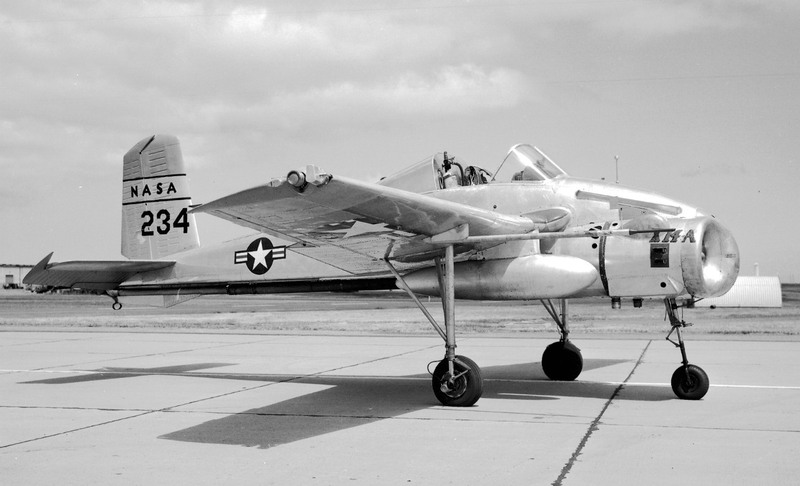 This Tailless Fighter Agility Research Aircraft demonstrated the feasibility of future tailless fighters to achieve levels of agility superior to today's best military fighter aircraft. Boeing X-36. Boeing Phantom Works manufactured two airframes. They flew a total of 33 flights between 1997-1998. Orbital Sciences Corp. manufactured three airframes. They flew a total of three flights between 1999-2001. In the summer of 1996, NASA contracted with Orbital Sciences Corp. to design, build, and test-fly the X-34, a small, reusable technology demonstrator for a launch vehicle. Orbital Sciences Corporation X-34. Orbital Sciences Corp. manufactured three airframes. They flew a total of three flights between 1999-2001. These NASA Experimental Aircraft Images were photographed by military veterans and service members. 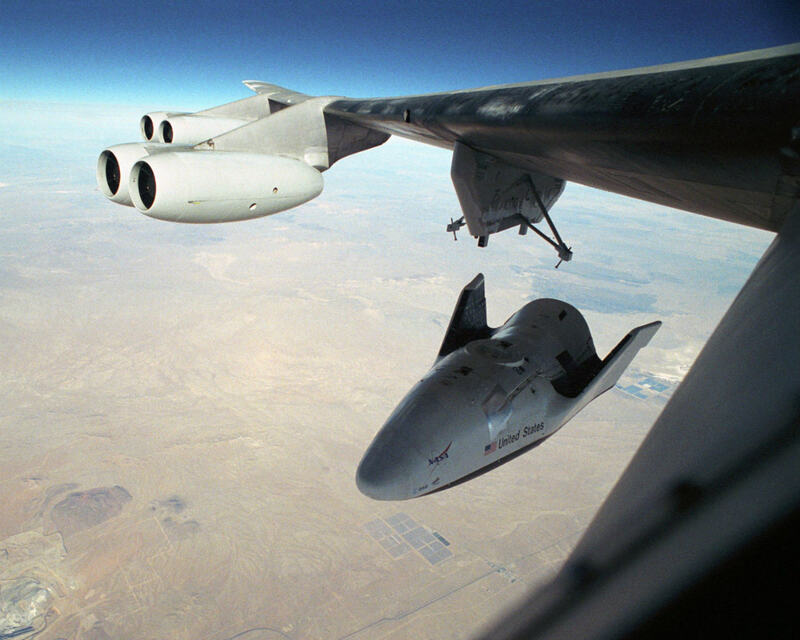 NASA selected Lockheed Martin to design, build, and fly the X-33 Advanced Technology Demonstrator test vehicle between March and December 1999. 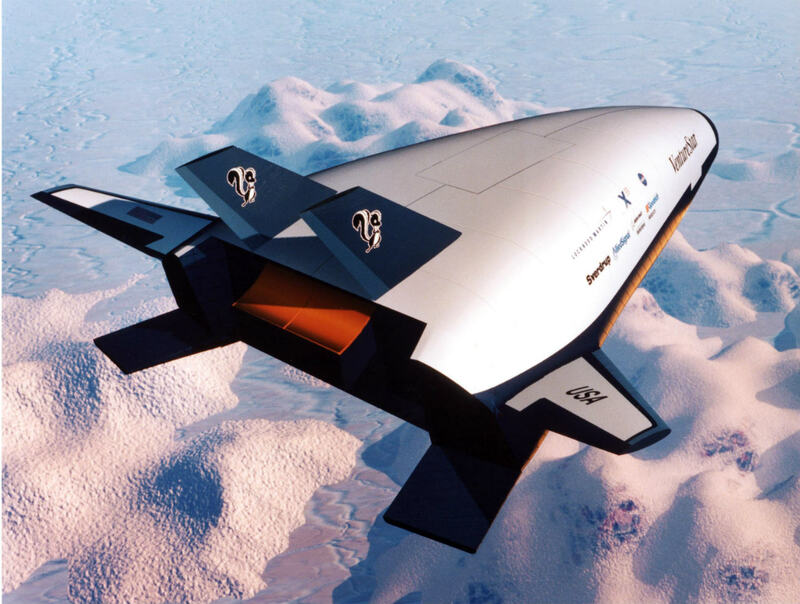 The X-33, a half-scale vehicle, was expected to feature a lifting-body shape, a new "aerospike" rocket engine, and a rugged metallic thermal protection system. Lockheed Martin X-33. 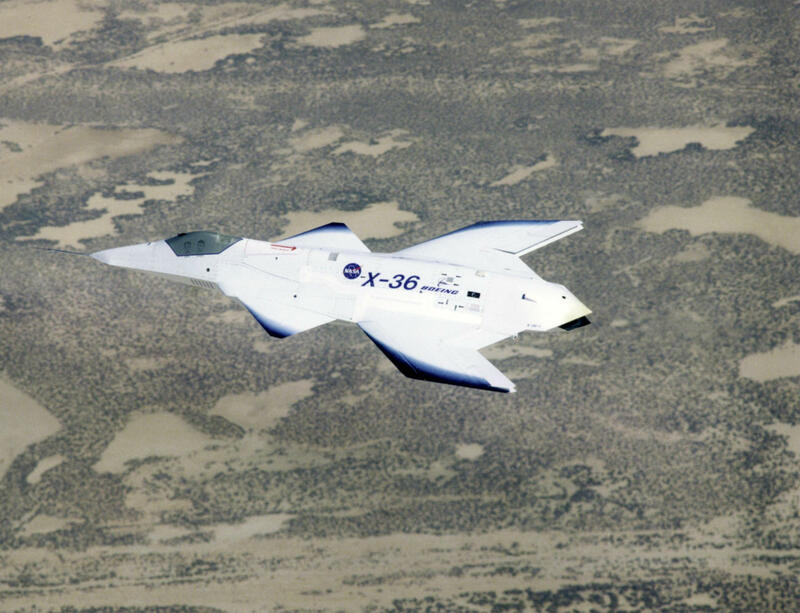 NASA selected Lockheed Martin to design, build, and fly the X-33 Advanced Technology Demonstrator test vehicle between March and December 1999. Rockwell Aerospace, North American Aircraft, and Deutsche Aerospace manufactured two airframes. They flew a total of 555 flights between 1990-1995. X-31. Rockwell Aerospace, North American Aircraft, and Deutsche Aerospace manufactured two airframes. They flew a total of 555 flights between 1990-1995. Grumman manufactured two airframes. They flew a total of 437 flights between 1984-1992. 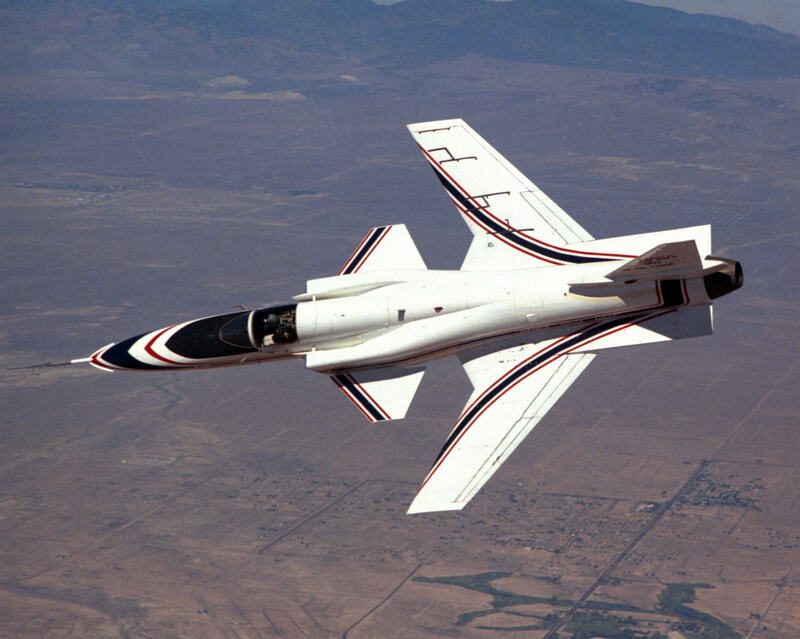 On Dec. 13, 1985, the X-29 became the first forward-swept-wing airplane in the world to exceed Mach 1 in level flight. Grumman X-29. Grumman manufactured two airframes. They flew a total of 437 flights between 1984-1992. These NASA Experimental Aircraft Images were photographed by military veterans and service members. North American manufactured two airframes. They flew a total of 129 flights between 1964-1969. The joint program among North American Rockwell, the Air Force, and NASA featured the world's largest experimental aircraft with a delta wing and hinged wing tips that could be folded down to a 65° angle to improve stability. North American Aviation XB-70 Valkyrie. North American manufactured two airframes. They flew a total of 129 flights between 1964-1969. 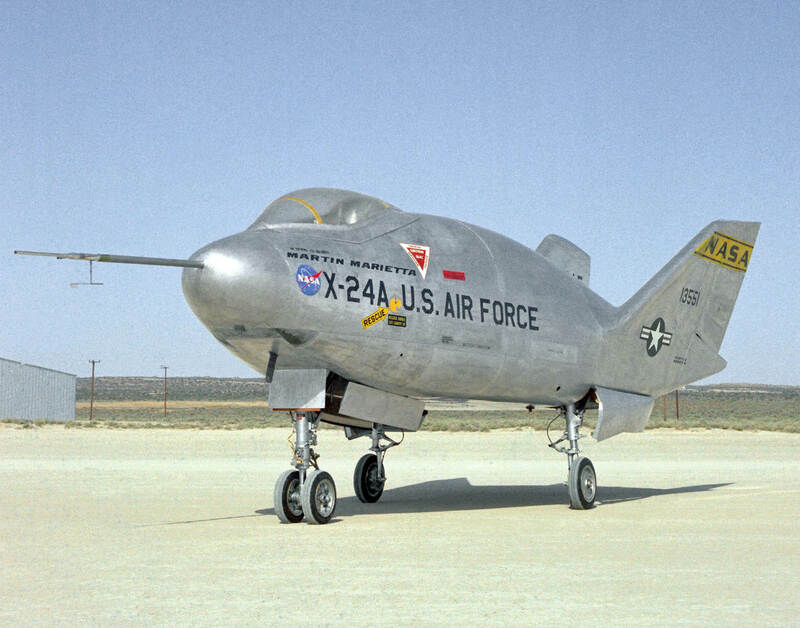 The X-24B was a joint program between NASA, the U. S. Air Force and Martin Aircraft Company. The aircraft flew 36 times between 1973 and 1975. The X-24B was the last of the lifting body aircraft to fly and demonstrated that accurate unpowered reentry vehicle landings were operationally feasible. 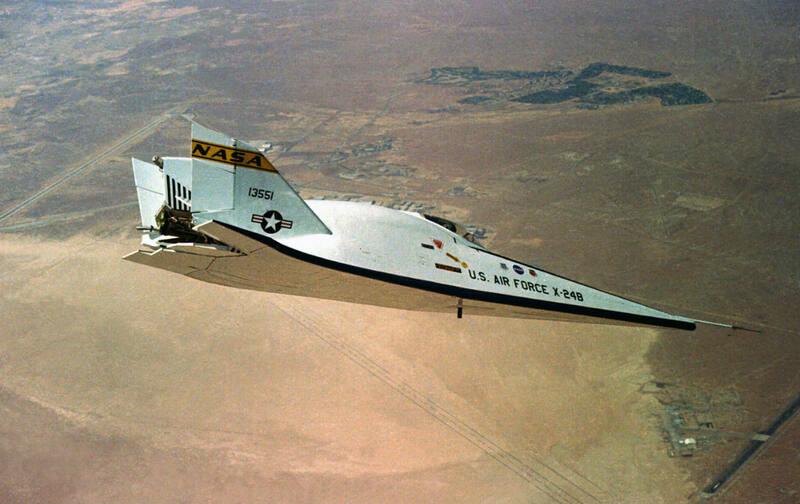 X-24B Lifting Body. The X-24B was a joint program between NASA, the U. S. Air Force and Martin Aircraft Company. The aircraft flew 36 times between 1973 and 1975. The X-24A was a joint program between NASA, the U. S. Air Force and Martin Aircraft Company. The aircraft flew 28 times between 1969 and 1971. Its unique design further validated the concept that an non-powered Space Shuttle vehicle could be successfully landed. X-24A Lifting Body. The X-24A was a joint program between NASA, the U. S. Air Force and Martin Aircraft Company. The aircraft flew 28 times between 1969 and 1971. These NASA Experimental Aircraft Images were photographed by military veterans and service members. The M2-F3 was a joint program between NASA and Northrop Corporation. 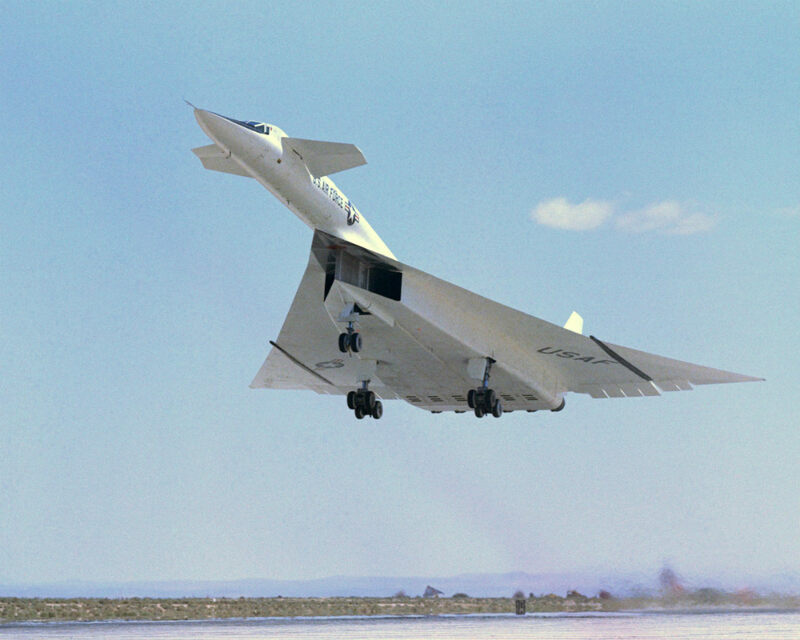 The aircraft flew 26 times between 1970 and 1972 and achieved its first powered flight on November 25, 1970. 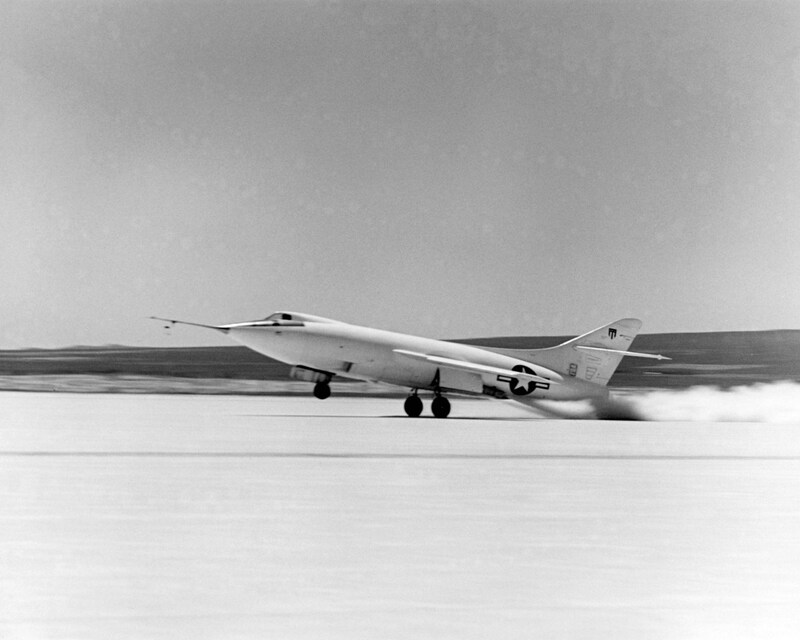 During testing, the aircraft reached a top altitude of 71,500 feet and a top speed of 1,064 miles per hour (Mach 1.6). 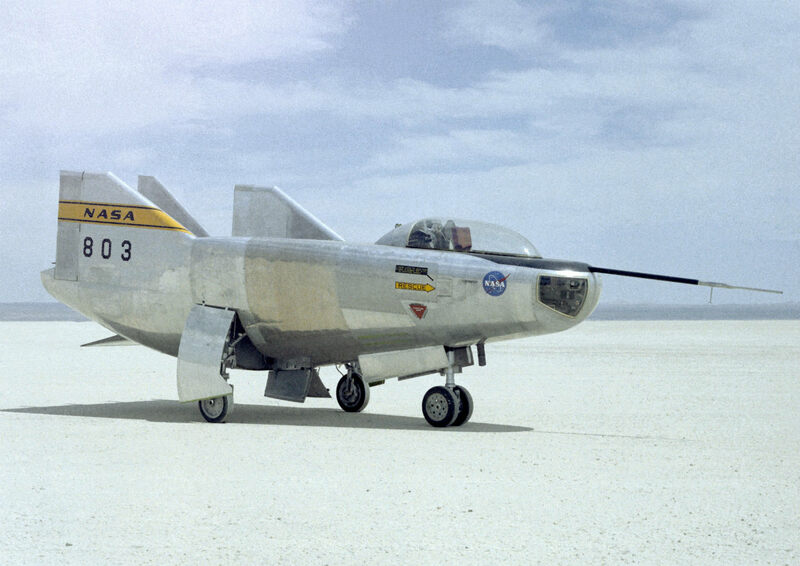 M2-F3 Lifting Body. 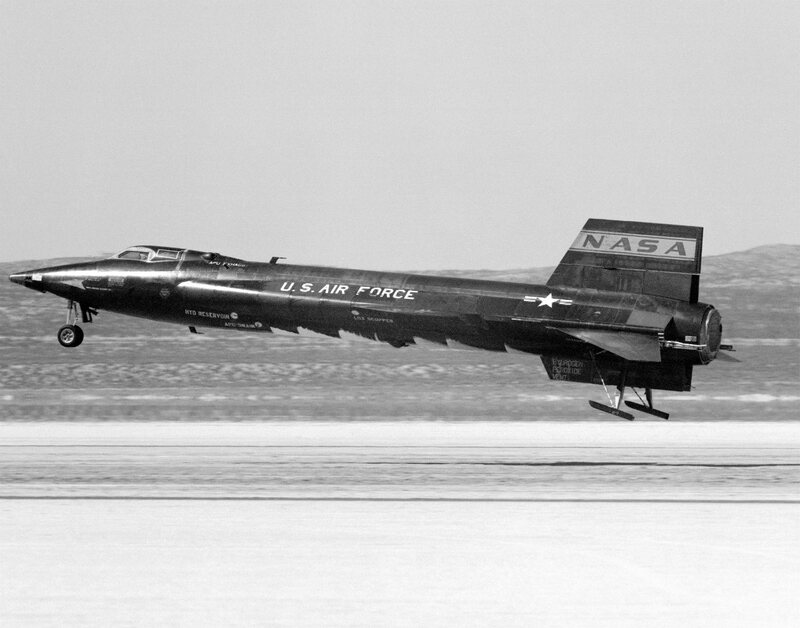 The M2-F3 was a joint program between NASA and Northrop Corporation. The aircraft flew 26 times between 1970 and 1972. The M2-F2 was a joint program between NASA and Northrop Corporation. The aircraft flew 16 times between 1966 and 1967. All flights of the M2-F2 were non-powered glide flights performed by dropping the aircraft from a modified wing pylon of a B-52 aircraft. M2-F2 Lifting Body. The M2-F2 was a joint program between NASA and Northrop Corporation. The aircraft flew 16 times between 1966 and 1967. North American Aviation manufactured 3 airframes. They flew a total of 199 flights between 1959-1968. This joint program by NASA, the Air Force, the Navy, and North American operated the most remarkable of all the rocket research aircraft. North American Aviation X-15. North American Aviation manufactured 3 airframes. They flew a total of 199 flights between 1959-1968. These NASA Experimental Aircraft Images were photographed by military veterans and service members. Bell manufactured two airframes, only one of which was flown by the NACA. It flew a total of 133 Air Force - NACA flights between 1951-1953. 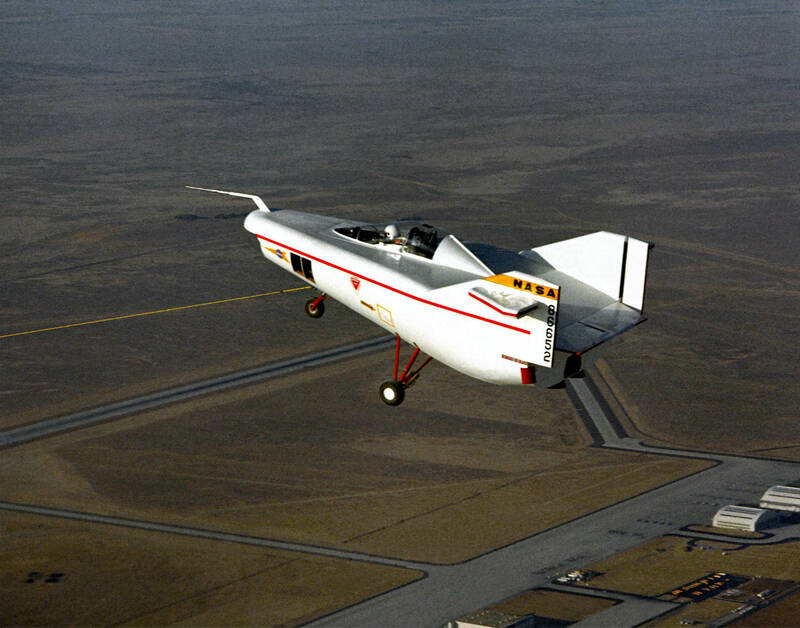 The X-5 completed all of the research goals originally set for the first aircraft capable of variably sweeping its wings in flight. Bell X-5. Bell manufactured two airframes, only one of which was flown by the NACA. It flew a total of 133 Air Force – NACA flights between 1951-1953. Northrop manufactured two airframes. They flew a total of 90 flights between 1948-1953. 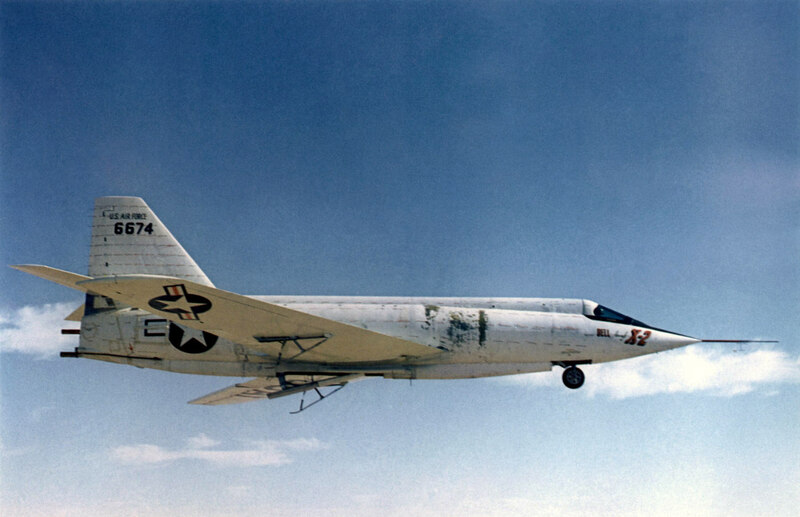 In a joint program with the Air Force and Northrop, the NACA conducted most of the flights in this semi-tailless aircraft (which had no horizontal stabilizer). Northrop X-4 Bantam. Northrop manufactured two airframes. They flew a total of 90 flights between 1948-1953. Douglas manufactured one airframe. 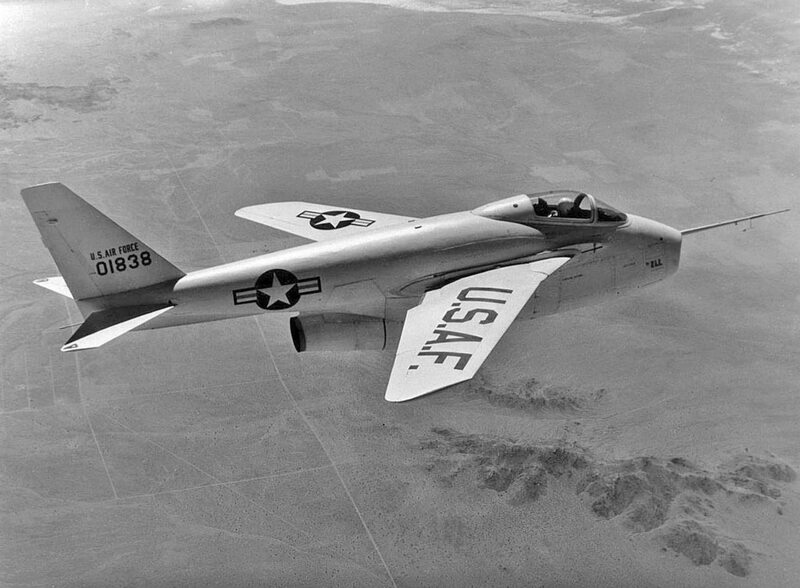 The X-3 flew a total of 26 flights between 1952-1955. This slender, jet-powered aircraft tested such new materials as titanium and collected data on stability and control, pressure distribution, and flight loads. Douglas X-3 Stiletto. Douglas manufactured one airframe. 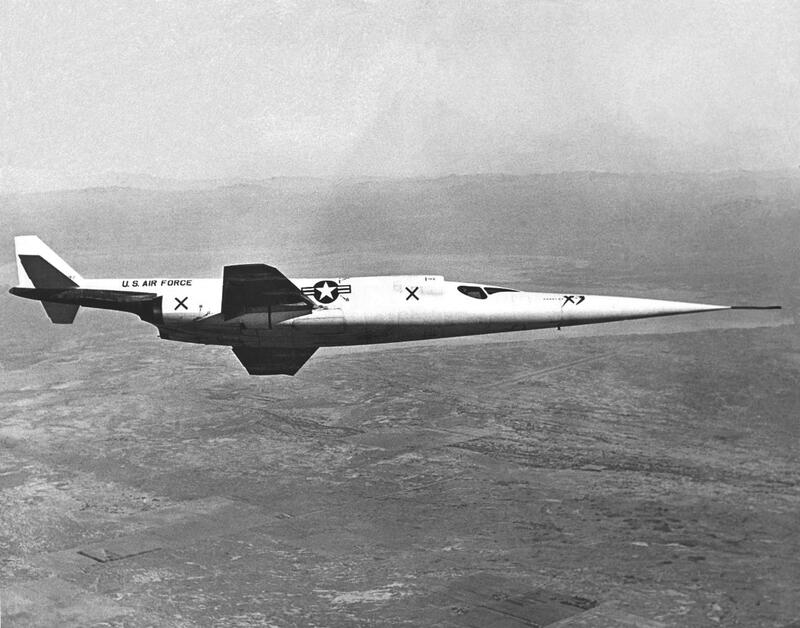 The X-3 flew a total of 26 flights between 1952-1955. These NASA Experimental Aircraft Images were photographed by military veterans and service members. Bell manufactured two airframes. They flew a total of 17 flights between 1954-1956. This was a joint program with the Air Force, although the NACA never flew the swept-wing, rocket-powered aircraft designed to fly Mach 3. The NACA supported the Air Force with advice and data analysis. Bell X-2 Starbuster. Bell manufactured two airframes. They flew a total of 17 flights between 1954-1956. Convair manufactured one airframe. 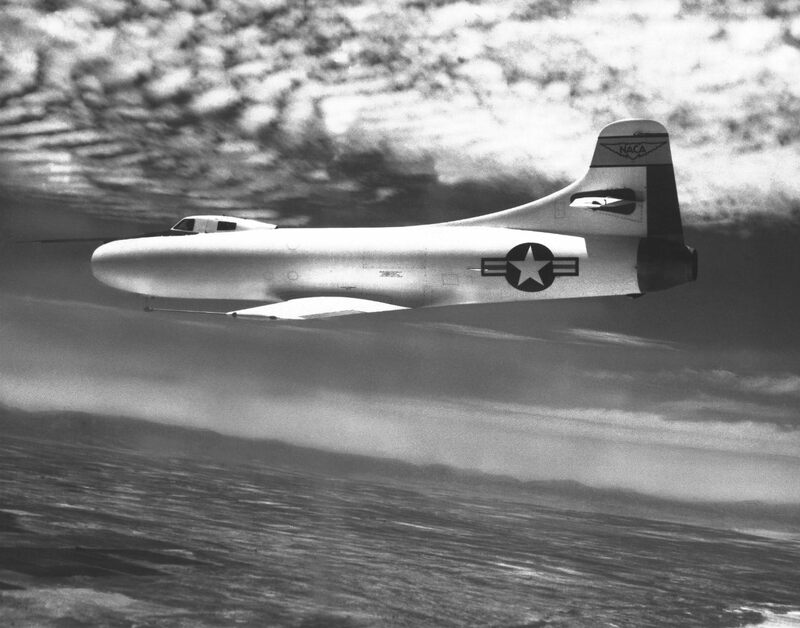 The XF-92A flew a total of 325 NACA flights between 1948-1953. Other flights were flown by Convair and the Air Force. 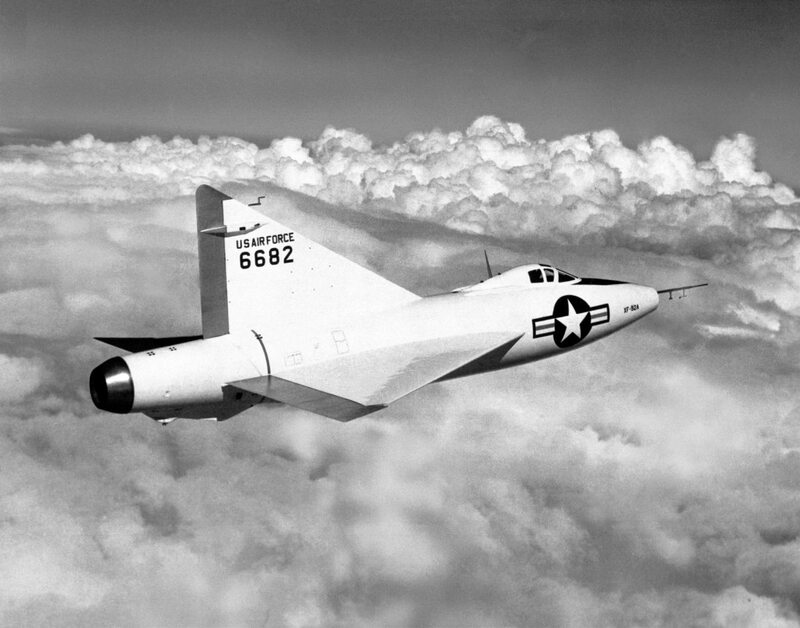 This was a joint program among the NACA, the Air Force, and Convair to test the country's first delta-wing aircraft. Convair XF-92A Dart. Convair manufactured one airframe. The XF-92A flew a total of 325 NACA flights between 1948-1953. Douglas manufactured three airframes. They flew a total of 312 flights between 1948-1956. This was a joint program among the NACA, the Navy-Marine Corps,. and Douglas Aircraft. Douglas D-558-II Skyrocket. Douglas manufactured three airframes. They flew a total of 312 flights between 1948-1956. These NASA Experimental Aircraft Images were photographed by military veterans and service members. Douglas manufactured three airframes. They flew a total of 225 flights between 1947-1953. This was a joint program among the NACA, the Navy-Marine Corps,. and Douglas Aircraft. Douglas D-558-I Skystreak. Douglas manufactured three airframes. They flew a total of 225 flights between 1947-1953. This was a joint program among the NACA, the Navy-Marine Corps,. and Douglas Aircraft. At Ames Lab, Moffett Field, May 23, 1962. USAF 56-4022. X-14A at Ames Lab, Moffett Field. The No. 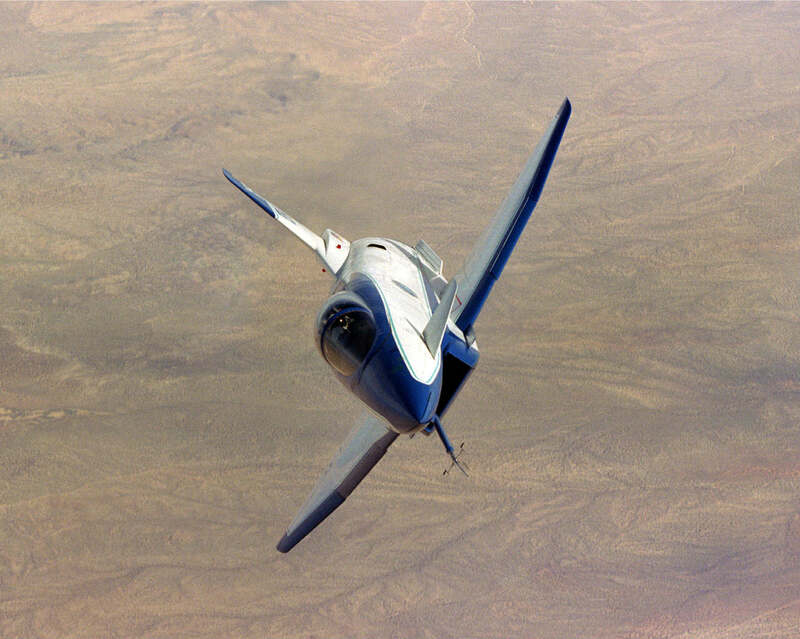 1 X-29 advanced technology demonstrator aircraft banks over desert terrain near NASA's Ames-Dryden Flight Research Facility (later redesignated the Dryden Flight Research Center), Edwards, California. 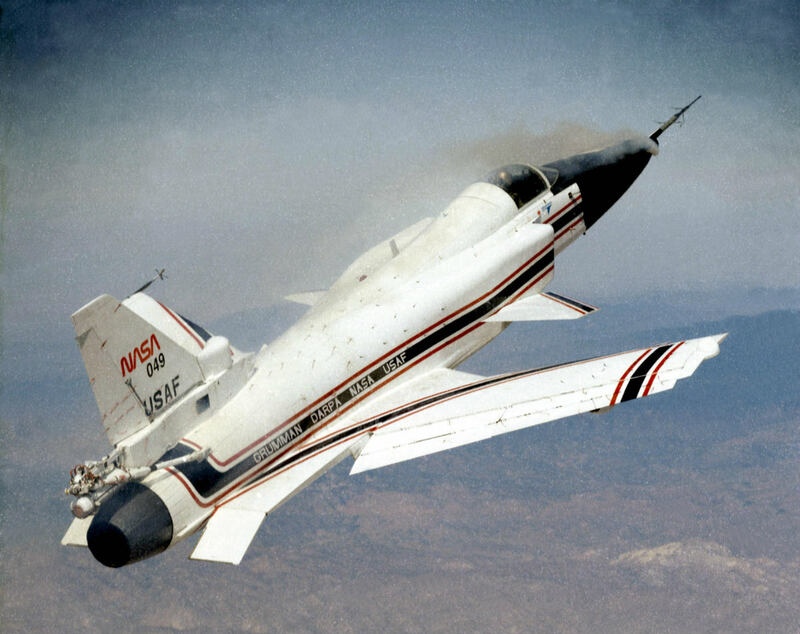 It was flown in a joint NASA-Air Force-Defense Advanced Research Projects Agency program from December 1984 to 1988 investigating handling qualities, performance, and systems integration on the unique forward-swept-wing research aircraft. Phase 2 of the X-29 program involved aircraft No. 2 and studied the high-angle-of-attack characteristics and military utility of the X-29. The No. 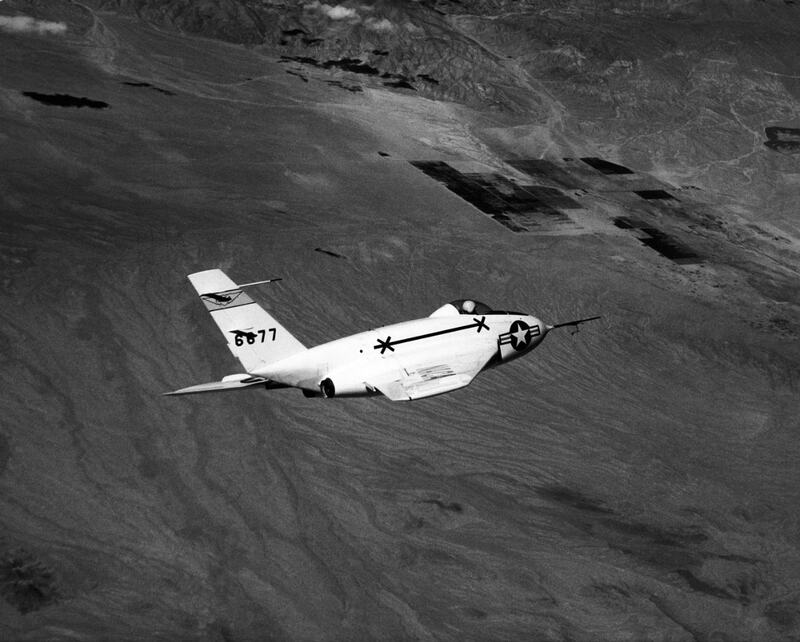 1 X-29 advanced technology demonstrator aircraft banks over desert terrain near NASA’s Ames-Dryden Flight Research Facility (later redesignated the Dryden Flight Research Center), Edwards, California. These NASA Experimental Aircraft Images were photographed by military veterans and service members. The M2-F1 lifting body is seen here under tow at the Flight Research Center (later redesignated the Dryden Flight Research Center), Edwards, California. The wingless, lifting body aircraft design was initially conceived as a means of landing an aircraft horizontally after atmospheric reentry. The absence of wings would make the extreme heat of re-entry less damaging to the vehicle. 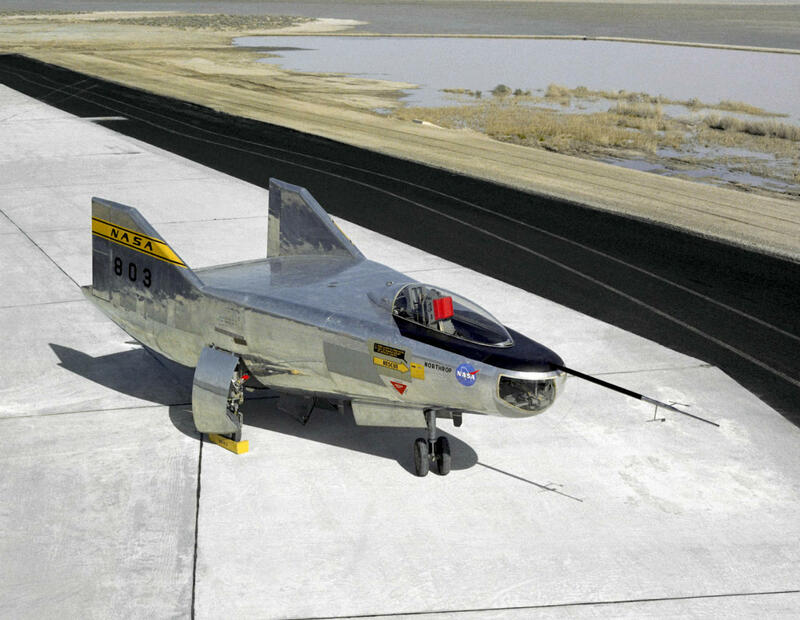 In 1962, Dryden management approved a program to build a lightweight, unpowered lifting body as a prototype to flight test the wingless concept. It would look like a "flying bathtub," and was designated the M2-F1, the "M" referring to "manned" and "F" referring to "flight" version. It featured a plywood shell placed over a tubular steel frame crafted at Dryden. Construction was completed in 1963. The first flight tests of the M2-F1 were over Rogers Dry Lake at the end of a tow rope attached to a hopped-up Pontiac convertible driven at speeds up to about 120 mph. These initial tests produced enough flight data about the M2-F1 to proceed with flights behind a NASA C-47 tow plane at greater altitudes. The C-47 took the craft to an altitude of 12,000 feet where free flights back to Rogers Dry Lake began. 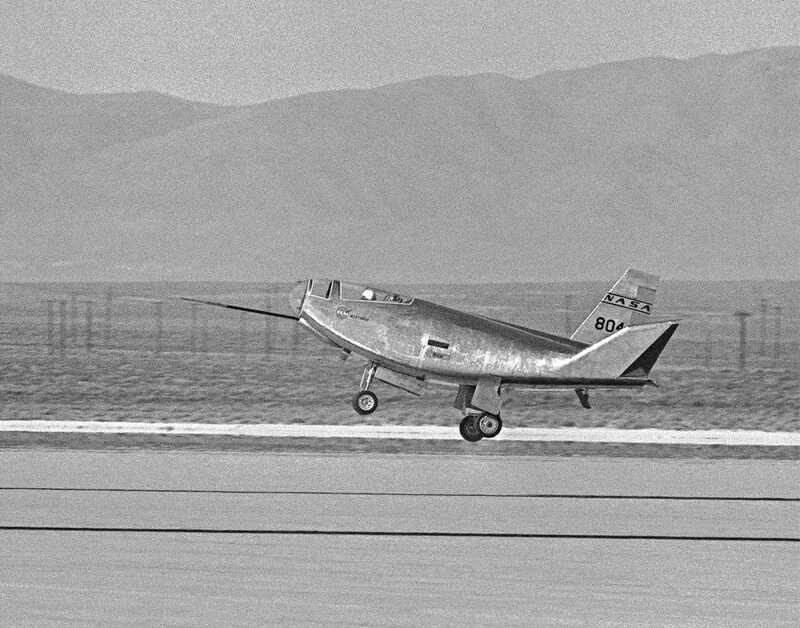 The M2-F1 lifting body is seen here under tow at the Flight Research Center (later redesignated the Dryden Flight Research Center), Edwards, California. With pilot Bruce Peterson at the controls, the HL-10 lifting body aircraft makes a successful landing on Rogers Dry Lake at the Dryden Flight Research Center at Edwards, California. HL-10 Lifting Body. With pilot Bruce Peterson at the controls, the HL-10 lifting body aircraft makes a successful landing on Rogers Dry Lake at the Dryden Flight Research Center at Edwards, California. Earth and sky meet as the X-48C Hybrid Wing Body aircraft flies over Edwards Air Force Base on Feb. 28, 2013, from NASA's Dryden Flight Research Center, Edwards Calif. The long boom protruding from between the tails is part of the aircraft's parachute-deployment flight termination system. 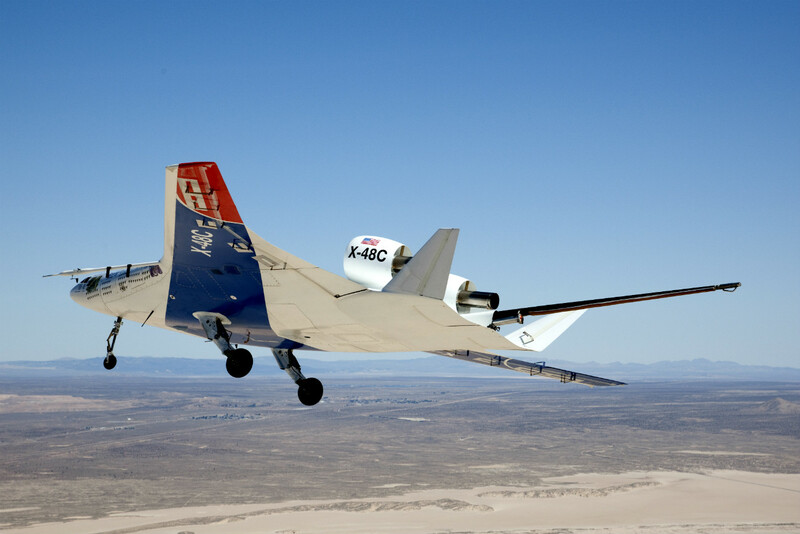 Earth and sky meet as the X-48C Hybrid Wing Body aircraft flies over Edwards Air Force Base. These NASA Experimental Aircraft Images were photographed by military veterans and service members.